As the season trucked on through August, my blogging went the way of my visits to the gym…infrequent and short. BUT I am here to tell you about the tremendous line up we have for our last four games of 2012. Tonight, being Friday, is of course Flat Screen Friday with David Munster’s TV Sales & Service. This is bittersweet; bitter because it will be your last chance in 2012 to win a beautiful television at a Sea Dogs’ game but sweet because David Munster’s is giving away FOUR of them tonight. (Four!) Three 32 inch and one 42 inch Panasonic TVs will be up for grabs. Obviously the 42 inch TV will be the grand prize. You can sign up tonight in the concourse, and remember, only one entry per person, entrants must be 18 or older, and you have to be present to win it. Also, bring a photo ID! We’re talking about a pretty major prize here, so I need to make sure that you are you. Tonight we are also inducting two more fine Sea Dogs legends into the UNUM Hall of Fame. The presentation will begin pre-game. You will want to catch the videos and interview that we have for the inductees, as it’s a great way to honor people who have made what the Sea Dogs do both on and off the field possible. 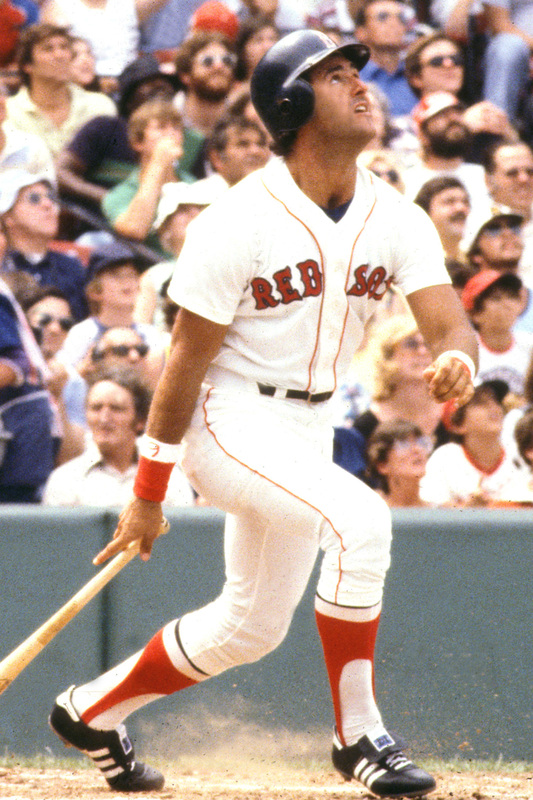 Saturday‘s game is presented by Travelers, and will feature an appearance by Red Sox great Fred Lynn. Travelers has been a wonderful partner this year and VERY generous. On Saturday they will be making a $1,000 donation to the Good Shepherd Food Bank. Making an appearance at Saturday’s Game. Signing autographs for fans! Mr. Lynn will throw out an honorary first pitch before the game, and if he throws a strike, Travelers will donate an additional $1,000 to Good Shepherd, bringing their grand total of donations to $2,000 on the day. I have no doubt Mr. Lynn will come through in the clutch. To put Travelers’ $2,000 donation in perspective, each $1 donated to Good Shepherd can provide four meals for a family in Maine. Please join in the cause as well; bring in a non-perishable food item to the Travelers Fan Experience booth located down the third base side of the concourse (also where Mr. Lynn will be), and receive a ticket for April or May of the 2013 season. I’ve seen a tentative view of our 2013 schedule, and there is a lot of room for some really fun promotions, so start planning your games for next season now and help a Maine family in the process. Sunday is a day the entire staff looks forward to, our Field of Dreams/ Fan Appreciation Game made possible by NextGen College Investing Plan. 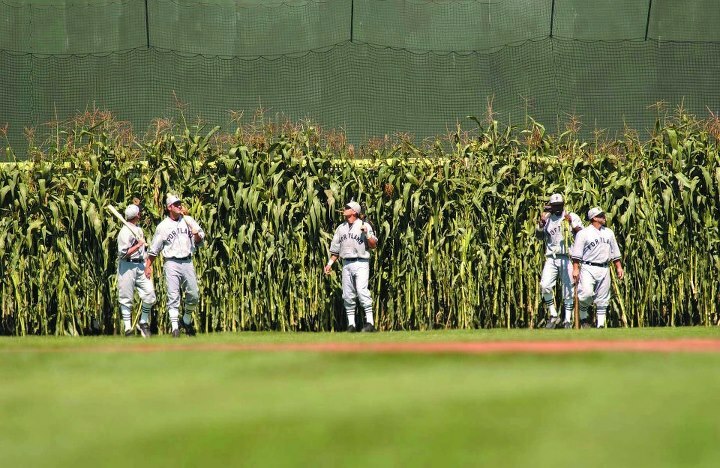 A cornfield magically appears in centerfield, and the team emerges from this donning the throw back uniforms of the 1926 Portland Eskimos. The image itself is beautiful, and is only made more special as the players go INTO the stands and personally thank the fans for their support all season. On Sunday we’ll also be granting a few wishes for some Make a Wish Kids before the game. And, as usual for our Sundays, kids can run the bases after the game thanks to Prime Motor Group. Our Fan Appreciation Game is a can’t miss on the schedule each year. Monday is your last chance to catch the Sea Dogs in 2012 with a Labor Day 1pm game. Before this game we will be handing out our team awards thanks to Irving Oil and Creative Awards. Irving Oil has done an amazing job partnering with the Special Olympics, and since 1999 has raised over $2 million bucks for various state chapters in New England. Learn more about this great program here: http://www.theirving.com/default.aspx?pageid=281. Then the season is over! It’s always so sad, like the end of a school year. But never fear, we will have plenty of fun events throughout the fall, winter and spring to talk about. And I promise, in addition to getting back into the gym, I will get back into the blogging to keep everyone updated on the outside the lines happenings of the Sea Dogs.